Social media has become flooded with videos of people dumping buckets of ice water over their heads. This viral phenomenon, known as the Ice Bucket Challenge, is raising awareness for amyotrophic lateral sclerosis (ALS), commonly known as Lou Gehrig’s disease. In the past few weeks, we’ve viewed short videos of friends, family members, professional athletes, business leaders, and celebrities accepting the Ice Bucket Challenge. Everyone from Bill Gates to Tina Fey and Justin Timberlake has supported the cause. The Ice Bucket Challenge has not only been an Internet sensation, but most notably a fundraising success. As of Monday, the ALS Association has received $79.7 million in donations compared to $2.5 million during the same time period last year. It’s also been reported that these donations have come from existing donors as well as 1.7 million new donors to the ALS Association. While some have argued the effectiveness of this campaign, there is one thing that can’t be disputed – awareness for ALS has skyrocketed. The ALS Association didn’t come up with the idea of an Ice Bucket Challenge, but they were able to effectively create an emotional connection with their cause. Former Boston College baseball player Pete Frates, who has ALS, leveraged his local community and friends with the Challenge. His intention was to raise money for ALS, but sharing his story helped spark this nationwide phenomenon. The Ice Bucket Challenge became viral after a few local Boston celebrities and athletes participated. From there is has spread to a long list of A-listers who have accepted the Challenge. And let’s face it, if the “cool kids” are doing it, others will want to participate too. The challenge began in late July and started to take off in August. Summertime is synonymous with a few things: kids are out of school, vacations, and warm weather. The Ice Bucket challenge really couldn’t have happened at a better time. The campaign is simple: dump a bucket of ice water over your head. Anyone can do this, and it doesn’t require any special talents. Making participation easy has encouraged more and more people to accept the challenge, and hopefully donate too! Videos have a tendency to go viral. The same story could not have been shared with a simple image, making videos the perfect choice for this campaign. With the increase of video integration on social media channels, the ALS Ice Bucket Challenge chose the perfect way to spread the word. The Ice Bucket Challenge includes two brilliant call to actions. First, each person who accepts the challenge must nominate three more people. To top it off, those three people have just 24 hours to accept. This brings out the competitive spirit in people and ensures the cycle to continue. 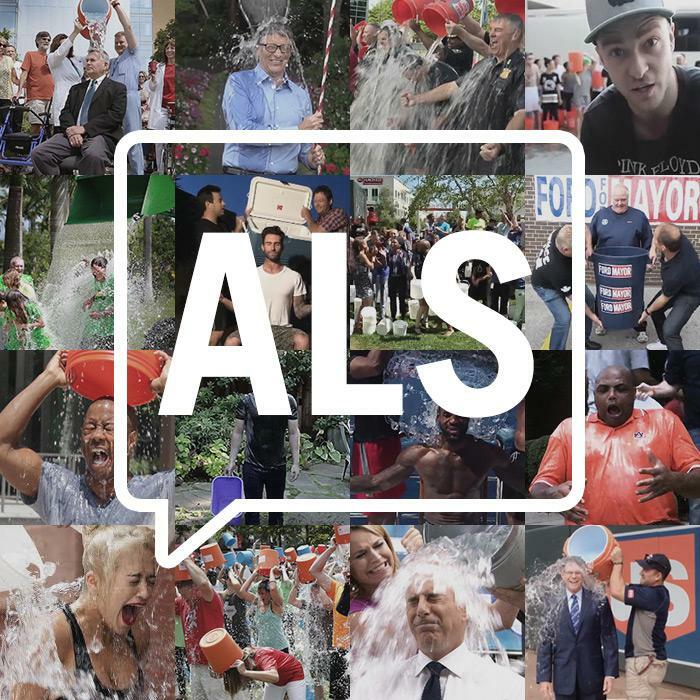 While there has been criticism about the Ice Bucket Challenge’s cause-marketing campaign, the ALS Association has truly benefited. Millions of dollars in donations, an extensive list of new donors, and global awareness will assist the ALS Association move one step closer to a cure for ALS. Published on August 26, 2014 .